We are Bournemouth Gilbert and Sullivan Productions, better known as Bournemouth GaSP. We are a friendly Bournemouth based award winning group, who enjoy performing shows from Gilbert & Sullivan. We are in the process of expanding to incorporate grand opera and modern musicals. We are extremely proud of our excellent reputation and produce major shows and concerts each year. We have recently re-launched as Bournemouth GaSP having formerly been known as Bournemouth Gilbert & Sullivan Operatic Society. As our name suggests we are based in Bournemouth, Dorset and perform at major venues across Dorset, including Lighthouse in Poole , the Regent Centre in Christchurch and the Barrington Theatre in Ferndown. There is something going on year round and we have regular social events too! 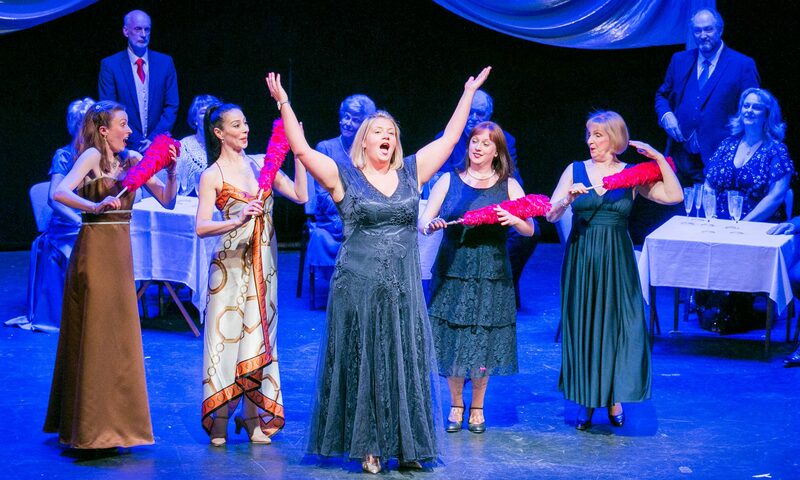 We have won best in category Accolade of Excellence awards from National Operatic & Dramatic Association (NODA) as well as winning several awards at The International Gilbert & Sullivan Festivals. We are a charitable organisation and we support our community by giving generous donations to local charities which have included: Macmillan Caring Locally, The Dorset ME Support Group, Nordoff Robbins Music Therapy and New Forest and District Sailability. Performing membership is open to anyone who passes an audition but we also welcome non-acting members to help behind the scenes with props, scenery construction and general administration. If you would like to be part of the fun, as a performer or helper then please click here to contact us. More information about joining Bournemouth GaSP can be found by clicking here. To subscribe to our mailing list and keep up to date click here. Rehearsals are primarily held on Wednesday evenings (19:30 – 22:00) with additional rehearsals called during the run up to a show. Rehearsals are held at the following venue. The winner of the Beaulieu Family Ticket prize from our Beauties, Beasts and Barricades musical extravaganza raffle is: Mrs Hilary Whitmarsh with winning ticket Yellow 187. Congratulations from all at Bournemouth GaSP. Please log into the members area to see the latest rehearsal schedule updates. The rehearsal schedule for the spring concerts has now been added to the Members Area. Monday rehearsals will be with Bruce until Helen is free to take over. Wednesday rehearsals will all be with Helen. See the Rehearsals Page in the Members Area for full details. Company auditions for membership to the society are held throughout the year. Membership will enable you to perform in our concerts and Christmas events as well as participate in our social events. Please contact info@bournemouthgasp.org.uk for further details. Open auditions for upcoming shows will be published here when dates have been confirmed. Please complete the following form to make contact with the society.